Mashup Audio and Video with vidibox for iPad – As Good As Mash and… Anything! Love food? I do! But far from that pretentious way some might be with it, I’m in that simpler category of food lovers – if it’s good, I’ll have seconds before I feel the need to mouth off about it in an essay. And I’m not afraid of big bad carbs either. Like the almost universal companion of foods in this part of the world – the humble mash. But enough about food. A piece of audio – from a sample to a symphony – can happily exist as a standalone, as it always has. Until the late 70s, that is, when artistes began serving it with a kind of mash – the video. Then came MTV and their Video Jockeys, and 30 years later, audio without video almost plays like a sad piece of roast chicken missing her carb companion. So what’s vidibox all about? It’s an audio/video remixing App ‘that lets users create real-time music and video projects from an intuitive drum pad interface’. It comes with a long list of features, but what the developers forgot to add is that it is super fun! As many working musicians will know, most of what is created, stored, organised, accessed and performed start their lives on paper – chord sheets, lyrics, sheet music, set lists, etc – and many will stay on paper for the entirety of their lives. Some of these get organised; others rot at the bottom of the guitar case pocket, only to be rediscovered when desperately looking for a scrap piece of paper (because your ‘phone battery is dead, of course). 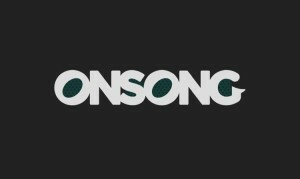 OnSong promises to “replace the mess of paper and binders with performance-ready, interactive, digital chord charts on your mobile device” – no question, this it intuitively does with distinction. And in this process of cleaning up guitar case pockets, it manages to streamline other off-stage tasks as well, either by default or by providing more functionality strings to its bow. Musyc by Fingerlab is an exciting, fun and unusual music creation app that offers new ways to draw and construct compositions on your iPad or iPhone. I often find myself backing into the same old familiar patterns when it comes to writing music. We all have our favourite chords and song structures and sometimes it’s too easy to start pulling these old friends out for another spin around the block. 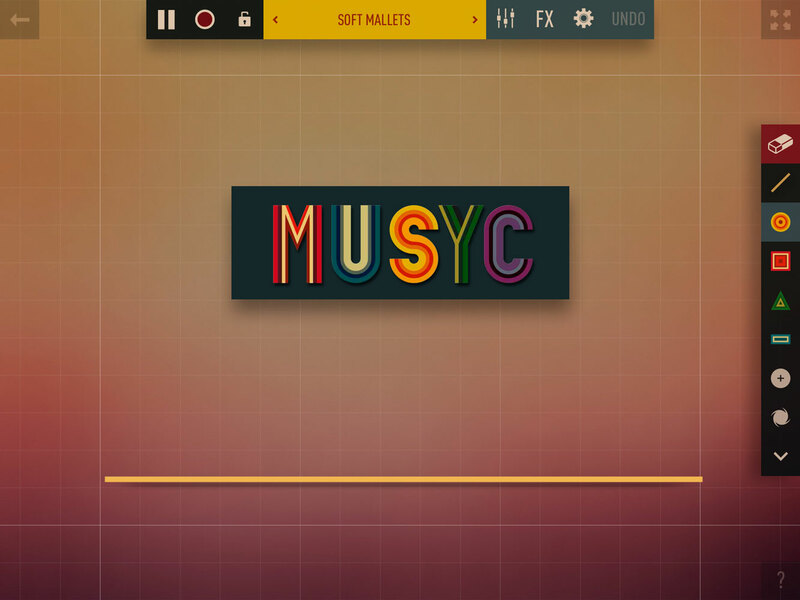 So for me an app like Musyc by Fingerlab is something of a revelation. 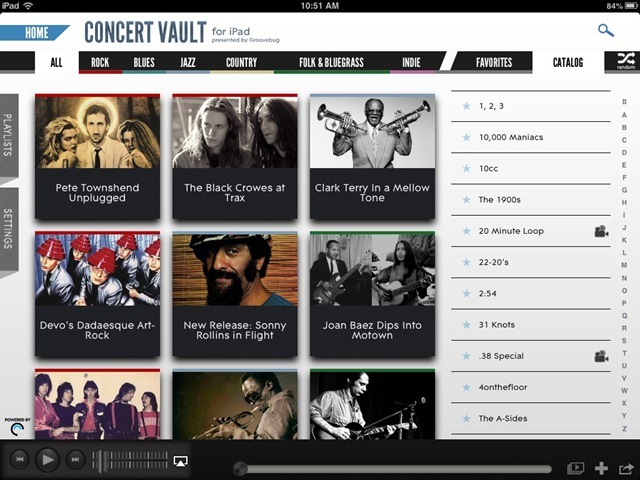 Concert Vault for iPad brings you something that you truly cannot find anywhere else: the world’s greatest collection of exclusive live concert audio and video from the ’50s to the present day, all available for high quality streaming to your iPad. The good news is that the app mostly lives up to that lofty introduction. Concert Vault is a free app that offers a 7 day free trial. After that you need to take out a subscription to continue using it. Subscriptions are reasonably priced at $3.99 per month or $39.99 for a year. Current Concert Vault subscribers can just login to use the app. 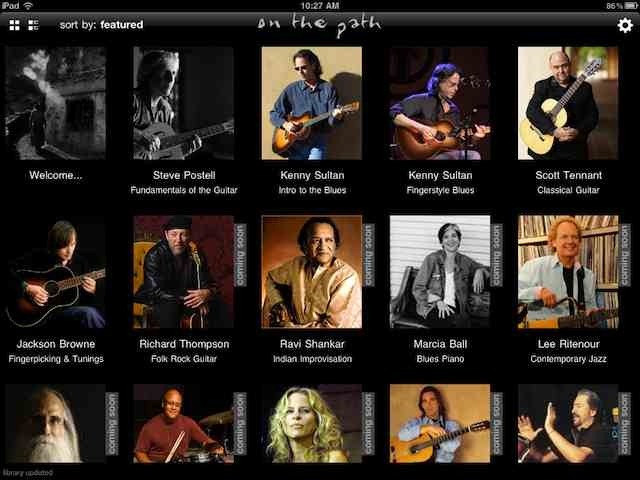 A subscription gives you access to all of Concert Vault’s content on the iPad, iPhone and on the web. The app includes thousands of concert recordings in audio (320Kps) and video. There’s daily featured content spanning across genres. It supports AirPlay for streaming content to an HDTV via Apple TV. The App Store description also mentions that the app is ‘built on the Groovebug platform’. I’m not sure what that means, but I’m hoping it’s something to do with the excellent Groovebug app that is one of the selections in our list of the Best iPad Apps of 2012. Album Art Home Screen Wallpaperis a brand new iPad (and iPhone) app released today in the App Store. 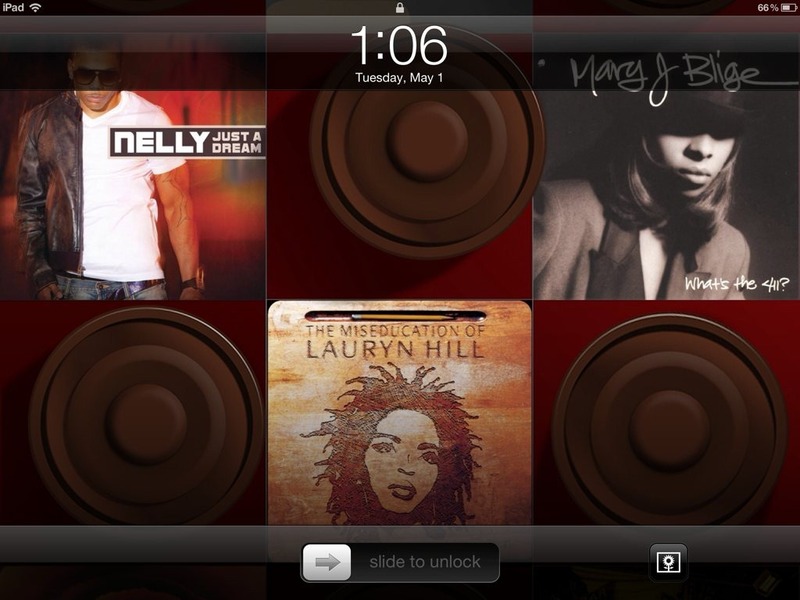 The app has a simple and great concept – combine your music library’s album art with some good-looking background themes to create some unique and striking wallpapers for your iPad. The official Madonna app. 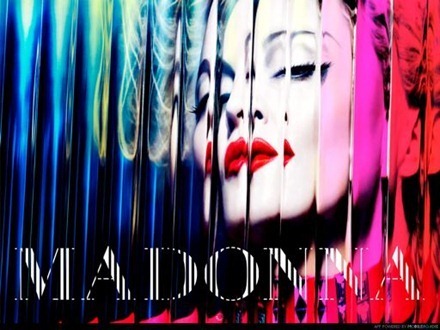 Now everything you want to know about Madonna is available on your mobile device. 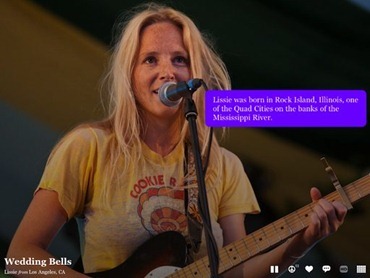 The app has sections covering Career (albums, tours), Fan Wall, 2012 Tour (dates, and fan comments area), Photos, Videos, News and more. I’m always on the lookout (or should that be listenout?) for great new music. This morning I’ve found some courtesy of a new album released as a free iPad app. 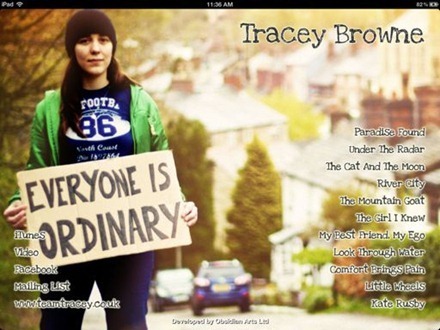 It’s called Tracey Browne Everyone Is Ordinary, and it’s one of those very rare albums where there’s not a single track you want to skip past, just all good songs. A British Joan Osborne perhaps, a 21st century Kirsty MacColl, a folkier Sarah McLachlan, a poppier Karine Polwart…they’ve all been mentioned, but who knows…and who cares; before that first listen is over you’ll more than likely have reached the conclusion that Tracey Browne transcends comparisons, and with those oft neglected virtues of a fine voice and a great melody, she’s already taking you some place else, some place all her own. I’ve listened to the whole album twice over now and I agree. I’m no music critic but I think Browne has a great voice, and her songs are really nicely written. BeatBlaster is a fun new iPad app released today that offers to turn your iPad into an old-school HiFi sound system. 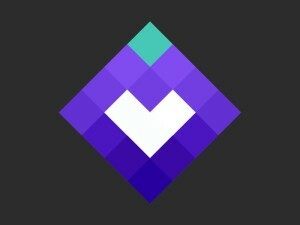 I’m always keen to check out promising looking music apps for the iPad, and this one caught my eye when I received a pre-launch promo email about it. The app’s old-school appearance is what initially caught my eye, and it seemed to have quite a solid set of features – so I installed it first thing this morning and it’s been providing the soundtrack to my workday ever since. 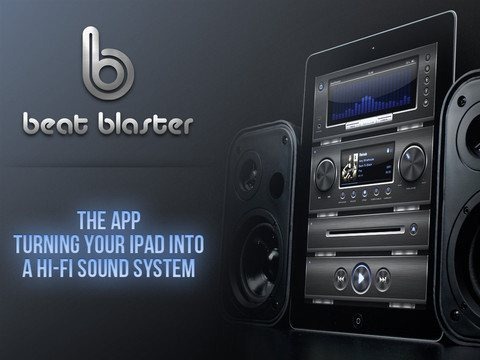 BeatBlaster plays music from your iTunes library on the iPad and from a selection of internet radio stations sourced from Radionomy. It’s intended to be used in portrait mode only and does not adjust its UI when you swap the iPad to landscape mode. Sting 25 is a new iPad (released last week) that celebrates the last 25 years of Sting’s career, as both a musician and a humanitarian and activist. The 25 years also mark his time as a solo artist, after leaving The Police. What originally drew me to the app was pure curiosity after seeing that it is an app that had a production budget of over a million dollars – ‘in the low seven figures’, as reported by The Wall Street Journal. Those costs were apparently ‘primarily covered’ by the app’s two big sponsors – American Express and Chevrolet. 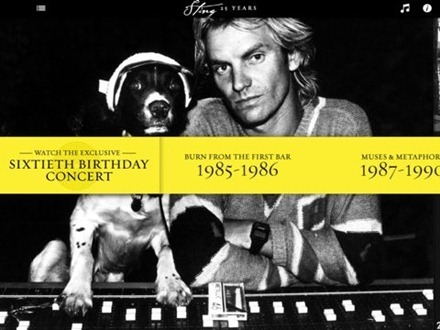 The app follows on the heels of a 25th anniversary Sting box set released by his record label in late September. Not surprisingly, given that sort of production budget, this is very nicely done app – with tons of excellent content for Sting fans. There’s everything from lots of great concert footage to video interviews with Sting talking about this project and other subjects surrounding his 25 year anniversary, a whole sections devoted to Sting’s influences and his social activism. On the Music Path is a brand new iPad app that just hit the App Store today. It offers lessons on guitar and other instruments from a cast of well-known musicians including Jackson Browne, Scott Tennant, and Ravi Shankar. The app itself is free, while the lessons cost between $2.99 – 19.99. Lesson previews and sample chapters can be downloaded for free to help decide if you want to purchase them. My daughter got a guitar recently and is keen to learn it, so I downloaded On the Music Path this morning and spent some time with it. I have to say it looks superb so far and I’m excited to show it to my daughter. When you launch Aweditorium – the superb new music discovery app for the iPad – the initial splash screen for it uses a tagline of ‘Aural Happiness’ underneath the app’s name. They could easily drop ‘aural’, just use ‘Happiness’, and be well within the bounds of accurate descriptions of what the app delivers.